Some people prefer to stay private, and I can’t blame them; putting yourself out there makes you a target for hateful, argumentative people. And it’s 100x worse now to be visible and on social media than it was in the 2000s. The climate online can be downright toxic. That might legitimately stop you from using social media at all, let alone promoting yourself. I know that I and probably many, many other branding experts and coaches are advising you to promote your thought leadership and expertise and to find ways to demonstrate your value online, but I also know that if you do that, the possibility exists that you may have to deal other people’s opinions about what you write, and that can be friendly and adult-like in nature or it can be downright uncivil. Why would someone subject themselves to that? 1) You have a mission. There is some big change you would like to contribute to and it requires sharing information that is new, in opposition to a dominant paradigm, and/or potentially scary, but the few that you reach are worth the potentially many who will protest and the high emotional fall-out. 2) There is something you learned that can save many from pain and/or loss. 4) You are able to focus on the good that can come from it, and the people with whom you will resonate and connect. 5) The potential for income that can generate from online activity is worth it. Like anything, the payoff has to exceed the pain or price. If you have a friendly worldview, then the payoff is the people. You will love hearing from people and watching them engage in your content. You’ll naturally want to engage back with those who are friendly, but avoid those who are negative. If you don’t, you will dread comments. You may be more apt to respond to and focus on the trolls than the people who were receptive to your content. You could be in between, which is a balance worth achieving if you’re going to put yourself out there. I have enjoyed several articles and a couple videos going viral, and have responded to various kinds of comments from grateful, to creepy, to friendly oppositions, to personal insults, to death threats. Be intentional about what I want my audience to experience, and have it be something positive: Hope, relief, peace of mind, prevention, wisdom, fun, etc. Stay in that emotional place when I write. Re-read it from that same emotional place and edit anything that feels out of alignment. Watch for immediate engagement, and thank, respond to each individual. When the comments start pouring in, batch my time responding to them. Thank those who have positive feedback or are sharing. Engage those who left vague feedback – ask them to share more. Engage those who left negative feedback – not from a confrontational place, but from a curious place – seek to understand before seeking to be understood. If negative feedback includes personal insults, name calling, I either attempt to disarm the troll or I block the individual. If the negative feedback includes threats or sexually-charged content, I report the content. I have even notified an individual’s hometown police department when one comment threatened suicide. If engagement continues, aim to explain my point of view once in as few characters as possible. Do not engage further. If there’s more to get off my chest, I write it down – only for me. I let it sit overnight and only consider sharing it if doing so supports my initial intention for sharing the content in the first place. I don’t block or report individuals to be spiteful. I aim actually to avoid reacting emotionally to anyone’s negative posts. Bullies want an emotional reaction, because it gives them some sense of control/influence. I will weigh very carefully if I can disarm a troll. You could say trolls are generally naysayers, small-minded thinkers, resistant and stubborn, miserable and just wanting to spread their misery to others. Or you could accept that trolls are in some pain and need an outlet. Social media makes for easy targets. Hurt people hurt people. One way to disarm a troll is actually to show them compassion. I love the story of comedienne Sarah Silverman changing the worldview of the man who tried to troll her. I may not always feel like I have the emotional fortitude to go down the rabbit hole with someone trying to spew negativity. I also haven’t got time for the pain. I could really let it get to me, but I spent far too many years letting what other people thought of me bring me down. I sometimes have to decide I’m better off not letting it in. At other times, I feel invincible and impervious to letting other people bring me down. I’ll do what I can to help other people feel that good. By all means, I resist the temptation to vilify someone else. Attempting to make someone else look bad doesn’t align with who I really want to be, and it just makes me look and feel worse. You may or may not be able to change some people’s minds, but you won’t change everyone’s mind. Know when to pull back your energy from the effort of defending who you are or what you think or feel. Consider re-applying that energy. If you let trolls silence you, you are giving them that power. Far too many solutions are stifled by the fear of what others might think of them. Nothing worth inventing was ever unanimously supported. You don’t need everyone to like you, and you don’t need everyone to “get it.” If you’re going to leverage social media, it’s better to accept that not everyone will like you. Social media may close the gap between you and people you wouldn’t want to know, but it also opens you up to the people and resources that can actually help you put your brilliance to work toward a meaningful contribution. Ultimately, if you choose to receive the benefits of the visibility a viral social media post or video can give you, there are ways to manage trolls. Social media has the potential to make us or break us. Know what you want, and determine what you’re willing to endure to get it. Engagement is a good measure of good content, so welcome commentary and reward your audience with your acknowledgment. When you have a high volume of people respond, batch your time and prioritize comments to respond to based on your original intention. If you have an emotional reaction, write out your feelings just for YOU first. Let that simmer for 24 hours and only include in your response what aligns with your original intention of what you want your audience to feel, learn or experience. Do not engage with a troll past 2 responses – the first to understand, the second to be understood. Digital responsibility means creating a safe space for people to share, so consider using blocking or reporting features if someone threatens the safety of your (or their) space. Take the high road. Rarely does dropping the mic workout online. Someone always tends to pick up the mic right after you and keep the discussion going. Leverage viral visibility by inviting people to engage offline. The official Big Time video. Directed by Stephen R. Johnson. The fourth single to be taken from Peter’s fifth studio album. The album was his first one to have a proper title and So was a watershed release in his career. How Can Anybody Get Anything Done These Days? It has been an interesting past few months on social media. I can personally say it has been much more of a distraction now than it has ever been. My usual tricks for limiting the amount of time that I spend engaging in non-work related activities on social media have had much less of an impact, and in a lot of cases it’s like I’ve forgotten all about them. I do not post or comment a lot on political subjects, but I do feel a need to stay informed. This leads to observing very heated discourse between people on both sides of various topics. I do not seek to persuade anyone, but I do seek to understand both sides. Unfortunately, in most cases I don’t find understanding. Instead, I noticed that I’ve just wasted an extra 15 minutes, sometimes even longer, reading commentary that upsets me. Then I spend another 15 minutes trying to find content that will help me get back into a healthier, more positive, more productive mindset. Generally, I have noticed that I feel a little more powerless and that has led to a lot more anxiety. I have noticed that people I like to spend time with, I avoid now, knowing that they are very vocal on the opposite side of my beliefs. This makes me sad and I do not feel as connected to these people who used to bring such joy to my life. I have a given an exception for invitations to meet new network contacts, and favor shorter get-to-know-you phone calls to avoid topics that usually tend to emerge when you sit down with someone for longer than a half hour. My practice of being happy has required a lot more diligence to overcome these obstacles. I tend to want to immerse myself in more positive content just to normalize myself into a state where I can get done what is on my agenda to fulfill my mission. Then I wonder about all of these people who are engaging in heated discourse. Some of them seem to go back-and-forth all day defending their original statement and refuting others. I’m seeing referencing data, which may not have just been at their fingertips. It is clear that they have taken the time to search and find this data simply to prove to a stranger that they are right and the other is wrong. The upsetting thing for me is not that people disagree. I believe that is part of the beauty of our country. The upsetting thing is the name-calling and the dismissing other people’s opinion as being a product of ignorance, lack of morals, or low intelligence. As a human being prone to bias just like anyone else, as per my previous post, I may make the same initial assumptions, but I know logically that even if there is a different belief system driving people to reside on an opposite side than me, my beliefs are not better than theirs, nor are they worse. It is just very difficult using the medium of social media and a venue like emotionally-charged sound bites, to really get down to the understanding that would enable me to draw a more accurate conclusion. This desire to understand, however, is not only unsatisfying but unproductive. Especially while my first quarter initiatives have been riddled with technical setbacks and difficulties, it has been even easier for me to justify the distraction of so called informing myself and seeking understanding. I’m at a crossroads and I have to make a change. I cannot always opt to just to avoid social media; it is part of my job. Not only do I market myself on social media, but I also help others leverage it to increase opportunity. That means staying in tune with changes, staying up on navigation and future updates, and listening and observing to help others effectively use social media. Lists may not seem like that ingenious of an idea, but the key is keeping them visible. I write a sticker for whatever I am there on social media to accomplish and stick it to my screen. It serves as a constant reminder that I am there for a purpose. It is a best practice to decide the night before what I really need to accomplish the next day and break my day up into segments. If you are someone who experiences high-level anxiety when things don’t go as planned, this may actually increase your stress. The purpose is not to be rigid, but to be intentional. If something happens to take longer than anticipated, I know that I have to adjust the rest of the day and the activities, perhaps making some sacrifices to make sure that the most important things get done. In The 4-Hour Workweek by Tim Ferris, I learned that we will tend to take as long as we give ourselves to complete a project. This is why some people wait until the last minute to finish a project– they feel it will ultimately take them less time than if they started early. Of course, waiting until the last minute can cause problems when unexpected events and challenges occur. Tim Ferris does not recommend waiting until the last minute, but he does recommend giving yourself and others an early fake deadline. In applying his advice, not only will I manage a larger project like this, but also milestones, mini-projects and tasks. When it comes to things like writing and social media, I know my tendencies are to get sucked in and take too much time. These are the things that I time. I might give myself an hour to write a blog, but when it comes to social media I will keep the time very short, I favor multiple short visits versus blocking a significant amount of time to get everything done. For instance, I will avoid social media until I have gotten the most impactful things out of the way. I will have already have meditated, and I certainly will have already broken my day down. Then I will schedule three 10 minute time slots intended for short postings that I will write outside of social media first. The next day I will allocate an hour to posting a client’s LinkedIn profile content. Then I plan when I will engage in social media for personal pleasure and interaction. I usually do this during a meal, unless I am eating with someone. I may slip in again while my kids brush their teeth at night. This is ideally where it would stop. Social media designers know what they’re doing, and their intention is to make you come back over and over again. They want you addicted. Turning off notifications can be tough when potential clients and customers reach you through these venues and their needs are immediate, for instance if you’re a plumber and you deal with a lot of plumbing emergencies. Realistically, you would want to have someone else handling any incoming inquiries, because most of your time would ideally be spent helping customers. When you have a different quandary – make sure whoever is assisting you with incoming leads isn’t wasting their time on social media. If these strategies alone do not help you minimize the amount of time that you spend not getting closer to your goals, there are some apps that can help you block websites for periods of time. SelfControl, StayFocsd, and Cold Turkey may help. If your job requires you to be on social media, these tools maybe too inhibitive for you. If you have noticed a decrease in your quality of life and relationships, and you believe there might be a correlation between this and your social media usage, I encourage you to try these tricks. However, if these tricks do not work and you sense that your social media habits will continue to have a cost to your life, consider that you might be suffering from FOMO (fear of missing out). While this legitimate syndrome recognized by psychologists is not just limited to social media and users thereof, you may be able to look at your social media usage as either a symptom or a cause, and reach out for help. As I am committed to relieving myself from the potential costs that social media has been imposing on my own life, I would love to hear others strategies and tactics. Many employees fear that their boss is watching their every move on social media and are afraid to update their LinkedIn profiles. Other employees update their profiles and openly express an interest in new career opportunities while they are employed. The first group of employees are limiting their ability to promote themselves. The second group risks being fired by their employer. Depending on your employer’s social media policies, a LinkedIn update can land you in trouble. John Flexman was an executive at a gas exploration firm based in England. He uploaded his CV to LinkedIn and checked the box indicating an interest in “career opportunities.” His company accused him of inappropriate social media use and ordered him to remove his CV. Flexman thought this was unreasonable and resigned. Flexman’s situation is not common in the United States because employers do not own your LinkedIn profile as they do in the United Kingdom. 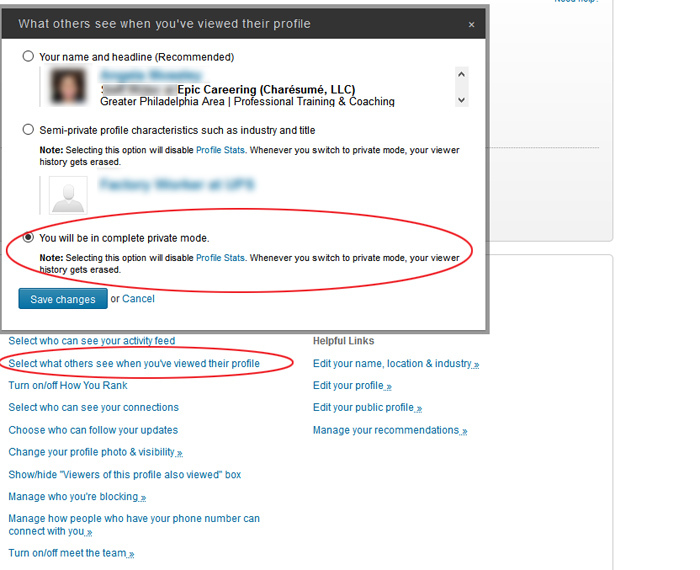 Nevertheless, there are cases where employers have monitored their employees’ use of LinkedIn. It is possible to confidentially use LinkedIn during your job search while you are still employed. A complete and branded LinkedIn profile is the best way to connect with others, stay relevant, and expand your network. However, many people are afraid to update their LinkedIn profile because they fear their employer will become suspicious of their activities. This robs a person of the opportunity to truly optimize their profile in a way that will generate more qualified leads, better opportunities, and will put their career on autopilot. Many of my clients have received offers for promotions within their companies because they have effectively articulated their value. They promote their value as an employee while promoting their company. Content is your greatest asset on LinkedIn! Do not be afraid to post industry-relevant content and to share your knowledge in groups. Balance the content you share in order to promote yourself and your company. Share the stories where you saved the day, but also use your status updates to express gratitude for being surrounded by and supported by a great team or leadership. Your next boss would love to picture him or herself on the receiving end of such praise. Keep your praise authentic and make sure other people would be able to validate what you say as truth. Use status updates to simultaneously promote yourself, your colleagues, and your employer. Update your status by writing about problems you solved, your nuggets of practical wisdom, and giving colleagues the credit for a great performance. When you use LinkedIn to job search and you are employed, do not openly announce your job search-related activities. This means not mentioning you are looking for a new employer in your status updates and in groups. While it is better to find a job while you are still employed, we know from our results that with a powerful and effective brand campaign and system you can viably land a new job within 10 to 12 weeks. Although it is possible to turn off all broadcasts of your LinkedIn activity, these decisions are often made from fear and limit your success. The questionable activity to your employer comes from adding connections from the competition. If your profile is locked down to the point where almost nothing is visible, your employer may become suspicious. You also miss the opportunity to network or to be found by potential employers who are actively looking for someone with your skills, and perhaps even your network. Adding connections from your company’s competition may raise red flags with your employer. In this type of scenario you do want to practice discretion, especially if you plan to transition to a competitor. If you are connecting with the competition, view the profiles of others anonymously by changing what others see when you have viewed their profile. Temporarily turn off broadcast activities when you follow companies for whom you want to work. This action is temporary because you do not want to alert your current employer to a direct job search activity. Otherwise, keep notifications on when you engage in your regular LinkedIn activity to raise your visibility on the network. Joining job search groups will alert others to your intent to find a new employer while you are still employed. Avert this by not allowing anyone to see you belong to job search groups and make sure these groups are not visible on your profile by changing the order they are displayed. 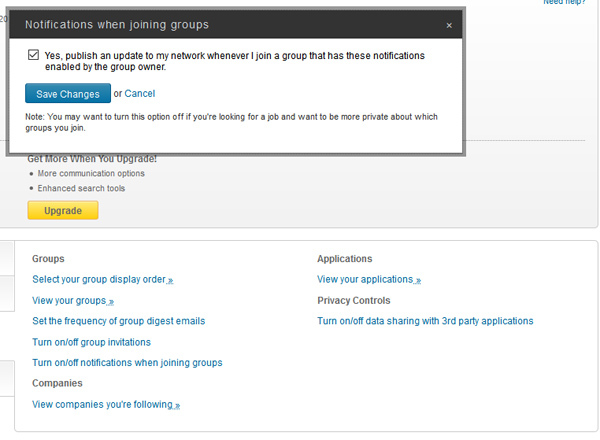 Also, temporarily turn off notifications for groups whenever you join a job search group. This allows you to freely join groups without notifying your network. 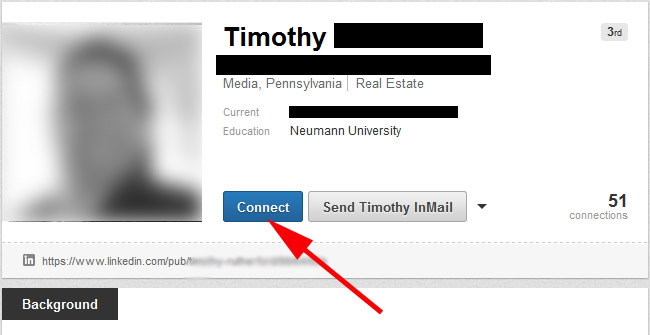 If you are using a company e-mail address on LinkedIn, switch to a private e-mail address immediately. Leaving your employer means that you will lose access to your e-mail, and as a result your LinkedIn account. In fact, I recommend this action even if you do not have plans to leave your company. Anything could happen! A job seeker keeps his or her job search activity completely under wraps on LinkedIn. They check out and follow competing companies. Their profile and all LinkedIn activities are completely hidden. Their confidential job search will not alert their current employer, but they are invisible to potential employers. A job seeker updates his or her profile to promote themselves and their company. They are actively looking for work and are employed, but they do not mention direct job search activities. They are not afraid to highlight their accomplishments. Their profile is a beacon to potential employers and it is not long before they begin to receive interview requests and even job offers. Which scenario would you choose? You do not want to scream to the world that you are actively searching for work while you are currently employed. Carefully updating your LinkedIn profile will make your transition quicker and pain-free. You are ready to land your next job, you know what you want from your next employer, and your résumé is polished to a shine. Before you venture out, or continue your great job seeking adventure, take a moment to review your LinkedIn profile. Are you getting the results you want? Do you receive messages from recruiters, and introductions to VIPs? Or has you inbox been quiet? By now, I am assuming you know the importance of having a LinkedIn profile if you are job-seeking. According to the 2014 Jobvite survey, over 94% of recruiters use LinkedIn when searching for job candidates. In part of an interview for my Philadelphia Magazine article, Jennifer Ghazzouli, QVC Director of Global Talent revealed that her hiring staff heavily relies on LinkedIn to discover talent. Given the heavy emphasis on LinkedIn by hiring managers, a powerfully-branded profile puts a wide gap between you and your competitors for jobs. Evaluate your LinkedIn profile again. If you have not been seeing the great results you want in your job search, it may be time to overhaul your profile. In her Muse article, “How to Get Your LinkedIn Profile Ready for Your Job Search in 30 Minutes” Jenny Foss created a fantastic LinkedIn profile creation guide. Having your profile up and running is a great first step. However, if you want recruiters to call you first and excitedly invite you to an interview, then take another 30 minutes to further customize your content for your target audience. The LinkedIn headline is automatically created when you enter your job title. A customized headline grabs the attention of employers, recruiters, and anyone else who views your profile. An effective headline depicts the function, or role of your job, instead of the title. A job title is the name of position, while a function explains your daily tasks and activities for a position. A great headline helps employers see how you will fit into their company. In my article, “Increase Views: Ditch the Default LinkedIn Headline” I go into depth on how to create an attention-grabbing headline. Far too many people use LinkedIn’s summary section to create a carbon copy of their résumé, when it is so much more. An effective summary tells the audience your story and is an opportunity to brand yourself. You have 2000 characters to illustrate your professional life and to sell your value to potential employers. A good headline hooks an employer, but your summary is what reels them in. The summary is also an area where keywords are listed to attract employers. Employers and recruiters often use keywords to search for talent. By including keywords relevant to your industry, it makes you easier to be found. That said, it is possible to use keywords incorrectly. Also avoid using clichés in your summary, as these words are uninteresting and overused. Are any of these 10 words found within your summary? These words are so common that they mean very little to recruiters who read them day in and day out. Anyone can list them, but those who can prove they have these qualities are the ones who obtain the interview, or land the job. Any time you find yourself wanting to write one of these words, or any subjective adjective, ask yourself, “How would I prove this, and how do these words translate into value for an employer?” Instead, use more specifics and demonstrate them, rather than stating qualities. Skills are a list of your talents and your hard skills. LinkedIn allows you to list 50 skills. Employers can view them at a glance to see how your qualifications match up with an open position. Additionally, skills are also another way to list keywords and to increase your chances of being found by an employer. Place the skills most vital to your position at the top of the list. Once you have your vital skills listed first, politely ask your connections to endorse your skills. Remember to also do the same for them. The visual aspects of your LinkedIn profile have a big impact on how you are perceived by employers. Did you upload a photo? The lack of a photo is a turn off because employers or recruiters may ask “what are they hiding?” This is especially true for recruiters who want to submit candidates who present themselves professionally to hiring managers. Display your professional image. If you are self-conscious about your appearance for your age, invest in a photo shoot with a professional photographer and a make-up artist who will bring out your best features. If you are on a budget, you can still find a friend willing to donate their time and talent. Man or woman, you can visit make-up counters at department stores. The perception is that if you do not put your best foot forward online, you cannot put your best foot forward at an interview, or on the job. LinkedIn is a professional social network, so use a professional photo. About Careers has great tips on how to take and choose a professional photo. A few things to keep in mind are that backgrounds should not be distracting. Your wardrobe needs to be business formal, not wedding formal. Lighting is complimentary, not halogen office lighting, or lamp lighting from a party scene. Do not include alcohol, unless you work in the beverage industry. Also consider adding multimedia to your summary to further stand out from your competition, and to give your accomplishments some visual flair. In addition to talking about your accomplishments, you can provide your audience with specific examples. Such examples could include a picture of yourself in action on the job, slide decks of presentations you have given, video, audio, and your portfolio. Take a minute to customize your URL. A custom URL is easy to remember and makes it easier to publicize your profile. Update your status once or twice a day with articles relevant to your industry. This shows employers you take a keen interest in your industry and that you are willing to share news and information. Go a step further and list your personal website or blog (unless they are irrelevant to your industry). Also make sure to add all social media profiles (that are of a professional caliber) to your contact information. Once your LinkedIn profile is complete, consider participating in a few activities while using the service. The Social Media Hat contributor Mike Allton has created an extensive free resource that covers the features, benefits, and activities that make a huge difference in your visibility and lead generation on LinkedIn. Also try our 7 Day LinkedIn challenge. Our challenge is a way to identify and research potential employers, to make new connections, and to expand and strengthen your network. Creating and maintaining a powerfully-branded LinkedIn profile increases the chances of landing your next job faster. LinkedIn is the go-to source for the majority of recruiters and employers. Having a profile that illustrates your brand and demonstrates your value allows you to stand out from the job-seeking crowd. If you have started your job search or are in the middle of a job search, updating and polishing your LinkedIn profile is the best way to give your search a boost. Have you ever wondered if anyone outside of friends and family cared about your views and opinions on social media? 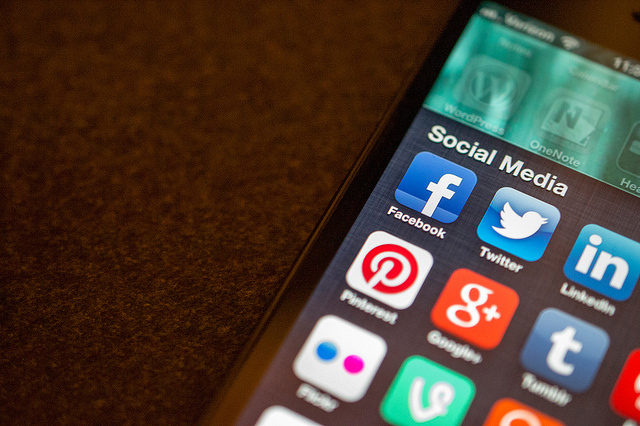 In today’s job search, social media can make or break your chances of landing. According to a 2014 Jobvite survey, 55% of recruiters have reconsidered a candidate based on their social media profile. Maintaining a strong and attractive social media profile increases your visibility, and invites potential employers to learn more about you. Your online presence can even be the factor that seals the deal after an interview. Employers can use your social media profile to verify your qualifications, your personality, to see if you’re a cultural fit, and work out other details they were unable to glean from you during an interview. Making these little details easier for employers to find helps your marketing hit the target and inspires action when you know what is important to the recipient. There have been countless articles written about how NOT to represent yourself on social media, but what are the best ways to present yourself? I’ve compiled a list directly inspired by Youtern’s article, “These 5 Social Media Personalities May Be Unemployable” and put an EPIC spin on them. So what are the best types of social media personalities that increase your chances of landing a job? Complimentary Candice – Complimentary Candice is the type of employee who speaks positively about her experiences and her past employers. She highlights the good things her employers have done in the workplace, in the community, or how they positively impact the world. She comes off as enthusiastic about her work and her co-workers. She is the type of employee who comes to work with a smile and greets everyone with kind words. If the morale of the workplace is low, a Complimentary Candice will find a way to raise everyone’s spirits. In turn, she is the type of employee who people want to work with and her attitude can help positively impact productivity and profits. Showtime Samurai – The Showtime Samurai knows that social media and being online is important in this day and age. This type of employee uses social media as a part of their overall image and to capture the attention of potential employers. The Showtime Samurai knows if they are invisible online they won’t attract as many job opportunities. They know it is completely possible to network and to be found by potential employers without using social media, but social media is their sword. They use their weapon to connect with others and draw attention to themselves. The Showtime Samurai is also honorable and knows they must put their best self forward. They have a networking infographic because they know it will improve their visibility among the job-seeking crowd. They are transparent and they have a sizable number of followers. This type of social media personality is very attractive to employers who value a large social media following because those employers know a potential candidate with lots of followers can bring an instant expansion to a company’s visibility. The Showtime Samurai is also the type who uses their charisma to draw others closer. Their influence is constantly expanding by their numerous initiatives and projects in progress. Sociable Steve – Sociable Steve is similar to Showtime Samurai in that he knows the value of social media visibility. Where the Samurai is intense and loves a large following, Steve is laid back in his approach and doesn’t worry about large numbers of followers. He has an open social media profile and allows recruiters and hiring managers to not only follow him, but also accepts their friend requests. He knows that his passion and knowledge can be appealing to potential employers. His life is an open book that is warm and welcoming to anyone who comes across his profile. Sociable Steve’s other big strength is his ability to make clients and customers feel at ease. His easy-going personality and calm reasoning can diffuse a variety of difficult situations. Professional Perry – Professional Perry knows that people are looking at his social media profile and that it represents his online brand. He doesn’t post inappropriate content, make crude jokes, and never shows his wild weekends online. Instead, he posts about the volunteering work he does, about his positive family outings, and his hobbies. His value makes him trustworthy and a good spokesperson for a conservative company with strict social media policies. Transformative Tim – Transformative Tim is a change agent. He is bold and not afraid to tackle difficult subjects, engage in debate and to try and change public opinion TACTFULLY and RESPECTFULLY. He is a master at seeing both sides of an issue. He knows where he stands and does his best to win others to his side. Transformative Tim also knows where to draw the line and when to stop pressing if he can’t sway an opinion. This type of personality isn’t appropriate for all companies, but it is perfect for social impact organizations, non-profits, lobbying organizations, and public office officials. There’s a counter-argument to the positive social media personalities: “If I only post about good things, I’m not being true to myself!” In his Slate article, Paul Heibert states numerous reasons why people tend to over-share content on social media that can make them un-hirable. One reason is the lack of inhibition and a sense of being invisible due to not having face-to-face communication with others when posting to social media. Like it or not, your presence online is your brand and employers are going to research you in order to lean more about you. The 2014 Jobvite survey noted that 93% of recruiters will review a candidate’s social media profile before making a hiring decision. Of the 93% of recruiters, 55% of those recruiters reconsidered a candidate based on their social media profile, and 61% of those reconsiderations were negative. Profanity, illegal drug references, alcohol references and spelling errors topped the negative reconsiderations on recruiters’ lists. On the flipside, over 60% of recruiters want to see positive content such as memberships in professional organizations and volunteering for charities. By using the knowledge that potential employers will search for you online and that you can make yourself more appealing through social media, you can increase your chances of landing the job. 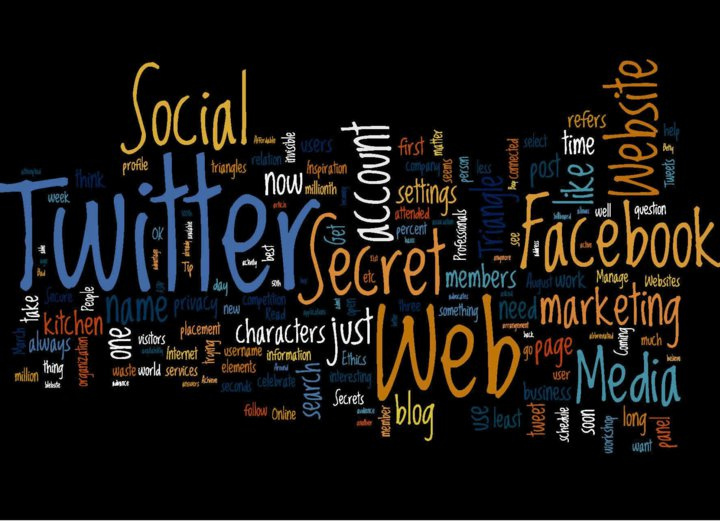 If you have a social media profile and are searching for your next job, it is almost certain that a potential employer will view your social media profile. You can make their decision to consider you for the job easier by making your social media presence attractive. This means having a social media profile that will strengthen the best aspects of your personality and give employers a positive glimpse into the type of worker you will be at their companies. Your online presence also avoids the negative pitfalls that turn off potential employers. American entrepreneur Amy Jo Martin said it best: “Social media is changing the way we communicate and the way we are perceived, both positively and negatively. Every time you post a photo, or update your status, you are contributing to your own digital footprint and personal brand.” Just as you want to be perceived positively by employers in the real world, you want to be perceived the same way online. More than 70% of all jobs are found through networking. Many people know that networking is an effective job search method. Given these facts, what makes people continue to rely on job boards and filling out online applications? The answer is that many people have tried networking and it didn’t work for them. Most people are already out of their comfort zone when networking, so any sign of failure, such as failing to connect with people, or landing a job, makes it tempting to return to the familiarity of job boards. Networking doesn’t have to be difficult or uncomfortable, as it is really about developing long-term relationships. In fact, you already have a network, and achieving success is within your reach. If you haven’t been getting the results you desire, avoid the temptation to return to the comfortable. A few tweaks to your approach can transform your search. Think about it. Instead of asking your network for leads, your network will come to you for advice. 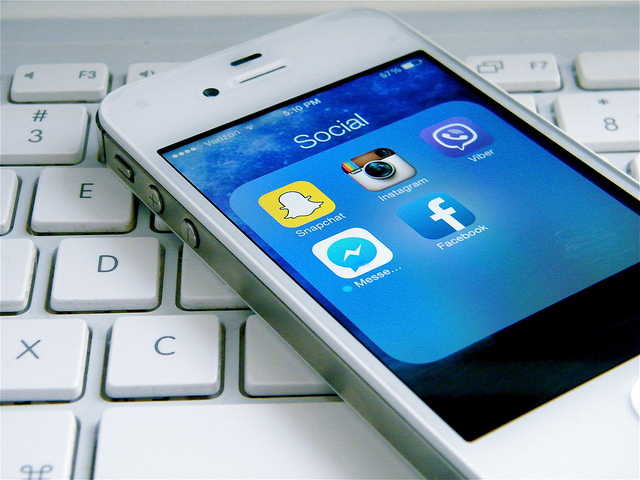 Social Media is a highly-effective way to expand your network during a job search. Using social media to start a conversation and establish a relationship can be ideal, because it is easy to find and connect with people. You can use social media networks to engage with others, form relationships with people (both online and offline), and garner introductions to powerful people. Every relationship begins with creating a connection to someone important to your job search. It is possible to engage that person on social media and show them the value you have to offer. The value you offer could consist of bringing fresh insight to a popular topic, or offering support. It could also be as simple as striking up an interesting conversation, and being invited to learn more about that person. Moving your relationship offline with a phone call, or a meet-up as a connection is made can accelerate your results. 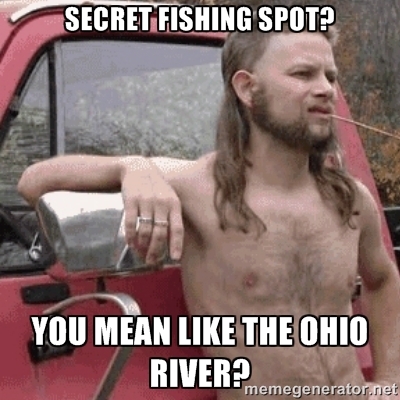 You’re not fishing for dirt here, and we certainly don’t expect anyone to be perfect. But, you’ll be able to gauge how well these answers resonate with you by your desire to move forward with that person. If they do resonate, find out what they’re up to, and the ways you can bring value to them. Next, it’s time to articulate your brand. What makes you uniquely qualified? What contribution do you hope to make? Ask yourself how your life experiences and career paths have given you a perspective that enables you to see and do what others can’t. That’s easier said than done, as you may have to figure out your own value. If you’re unsure of the value you could bring to someone else, it may be an indication that you need to have a branding consultation with us so we can help unveil your brilliance. You may not receive a great response if you connect with strangers and begin asking them for favors or advice without finding out if they are people with whom you want to associate. For example, asking a quick question might be okay, but asking someone to review your résumé, or grant you an interview may be met with a chilly reception, or be completely ignored. However, asking to meet immediately with someone after finding them on social media can be a beneficial experience, especially if your values do align. Say the person you want to meet with is a member of an organization that meets monthly, and you tell that person you’ll be at the meeting so you can get acquainted. Or maybe this person is a stranger, but you have a trusted contact in common, so you invite them out for coffee or lunch. This happens frequently, but in your invitation there would be an indication of some potential synergy, or mutual value that you can both get from meeting in person. People who are avid networkers don’t think twice about meeting someone in person. 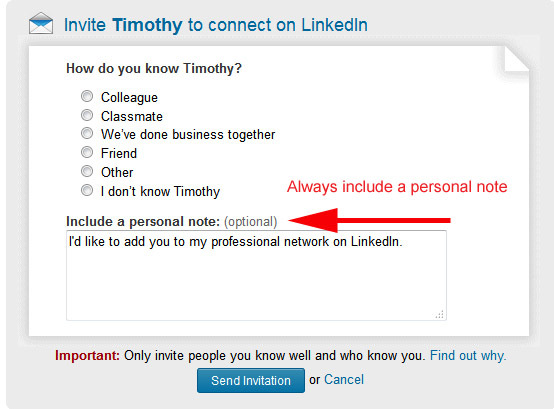 When you send a request to connect with someone on LinkedIn, take a moment to customize your request. Sending a default connection message might be interpreted by the recipient as not taking the time to research them, or that you’re only interesting in expanding your network, as opposed to making a genuine connection. Recently, LinkedIn has increased their users’ abilities to see with whom they should connect. However, on all of these pages where a connect button is present, and you’re not in someone’s profile, the site will automatically send the boilerplate message. Because of this feature people are a little more forgiving when receiving these default messages, but they may not be any more receptive to your request. To inspire somebody to be receptive to your request, send a personal note telling the person why you want to connect with them, that you want to learn more about how you can support their success, and that you would like to spend a little time getting better acquainted. If you would like to customize your connection request, go directly to a person’s profile and click the connect button. When sending a customized invitation, think about why you’re adding them to your network. Again, the point isn’t to simply expand your social media network. An effective connection means being genuinely interested in helping someone, supporting them, cooperating with them, meeting with them offline, and establishing a long-term relationship. There are several schools of thought about asking someone for advice on social media. One school of thought is to be mindful about how you make requests, because a public request for advice or help could put someone in an awkward situation. However, we have a different school of thought. I have advised clients in the past to publicly ask their network for advice. This is the purpose behind discussion groups, like those found on LinkedIn. They are a great way to solicit advice from others, especially people who are more-than-willing to help you. Additionally, status updates are another great way to ask for advice, engage an audience, grow your network, and establish your expertise. An unemployed Australian man had no luck with filling out applications. So he posted a picture of himself, his contact information and his plight on his Facebook page for employers to see. His unemployment situation quickly reversed as he was inundated with job offers by phone. Engaging someone on social media with the goal of creating a long-term network connection isn’t all about your needs. In other words, connecting isn’t about “How can I be helped?” Instead, it looks like being specific and directly asking a person what they’re working on and using that opportunity to demonstrate your value. Carefully measure what works during your campaign to determine the effectiveness of your outreach strategy. If you send out six messages requesting an introduction or a request to connect and none of them get answered, it is a sign that you need to change your approach. Keep track of your successes and note what works in order to consistently replicate the results. Our conversation tool assists with this. The end goal isn’t simply to add someone to your network in the hope that they help you land a job. Social media is capable of so much more. It can be the venue by which you become aware of someone, start a conversation, learn a little bit about them, and take that relationship offline. It is a way to enrich your own personal and professional life by meeting new people and creating new relationships that will pay off in both the short and long-term. This is the true value of networking in your job search, and social media can make expanding those networks a little less intimidating. If you want to take your job search beyond LinkedIn and Google, there are ten websites and two secret places can that help you up your game and stand out among the competition. These sites are some of the best ways to learn about a person or business. You can use these websites in tandem to verify a person’s identity and discover their industry interests. In turn, these interests could help you establish a connection with someone in your industry or they could help you further evaluate an employer. Imagine going into an interview or a meeting and being able to talk about industry-related topics. Or, using the information to bring up a problem that an employer or person may commonly face and how you resolved a similar problem in the past. Showing up to a meeting, crafting a cover letter, or just making a connection while armed with extra research can demonstrate your commitment, diligence and value to others. In short, you’re taking a proactive approach to your job search versus a reactive approach. In a proactive job search you pick the companies that interest you, research them and reach out to decision makers to establish a relationship. In a reactive job search you look for job openings, send your cover letter and résumé to hiring managers and hope it stands out enough to elicit a response. Instead of spending your time validating what’s on your résumé, what if you could acquire enough research to get an inside look at a company’s 2015 goals? I’m talking going beyond press releases to take a deeper look inside of a company. Imagine if you were in a meeting with a company’s CEO and he or she were outlining goals for the year, the challenges the company faces, and the steps that need to be taken to solve those problems. If a company is losing customers, you would know and could create a plan to attract new customers. You would know more about a company’s customers, products and their systems. You could contribute ideas, help develop special products, and land new clients. You could move right into talking about a 90-day plan, and suddenly you’re being sold on the opportunity to work for a company. Can you feel your future paycheck rising? You should! These incredible meetings aren’t limited to interviews. You could take a deeper level of preparation to any meeting. Both parties will get more out of the meeting as you know their needs thanks to your research, and they have a better understanding of the value you can bring them. Google isn’t a surprising choice on this list, but it is important. There are surprising ways in which you can use Google when it comes to advanced searches and more. I’ll discuss those search methods in a moment. Google is the first place you’ll start when researching someone or a potential employer. There is a wealth of publicly available information to be found at your fingertips. 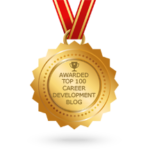 Search by entering the person’s name and a few keywords related to their job or location, for example “Karen Huller Career Coach”. You may run into the problem of searching for a person with an incredibly common name. 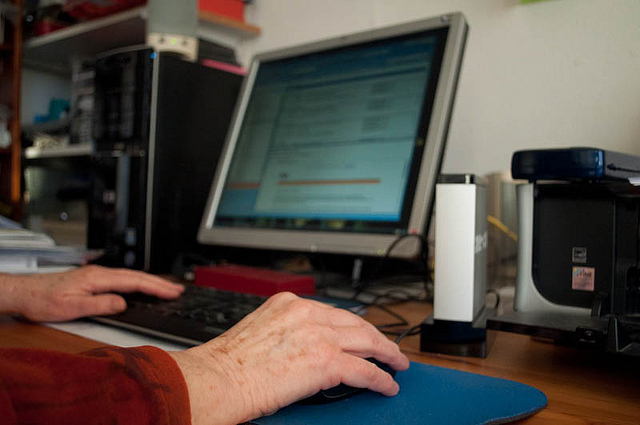 If you’re researching a company, it may also be difficult to find thanks to a common name. In this case, Google’s advanced search can help. It allows you to define searches with exact words or phrases, exclude words and narrow your results by language, country, website domain, and more. This is useful if you have a professional’s name and the name of their company. You can also further narrow down results by including geography, such as a town or a state. To keep current tabs on a person, set up Google Alerts to notify you when new search results for a person are added. You can customize Alerts by update frequency and sources (blogs, news, discussion, and books) and have the results delivered to your email address. You can take your search a step further by accessing a secret location on Google. Do an image search, if you find a matching image of a person, follow the source page. It can reveal such things as what a person does with their friends, awards they have received, events they have attended, activities they engage in, and much more! Once you have found a person or business on Google, you can use Google+ to further confirm their identity. Use the service to search for people, companies, their profiles, and any posts they have created. The About section allows you to glean information such as a person’s occupation, their place of employment, the places they have previously lived, Google+ communities they are a part of, and links to any other social networks or services. If the Posts section is active on their account, it can be a great insight into what a person may be writing about or sharing. If your subject is an industry leader, he or she will definitely talk about their industry and even how they make contributions to it. An active business will have their latest posts, contact information and links to other social media accounts. A person’s YouTube profile can be accessed directly through Google+ or on YouTube. If they are an active professional in their industry they might have uploaded a few videos with useful content for their followers. These videos can explain who they are, how their followers can better themselves within their industry, or a video may advertise a service. If a person doesn’t have any content uploaded on YouTube, you may find videos from other people in their playlist section. 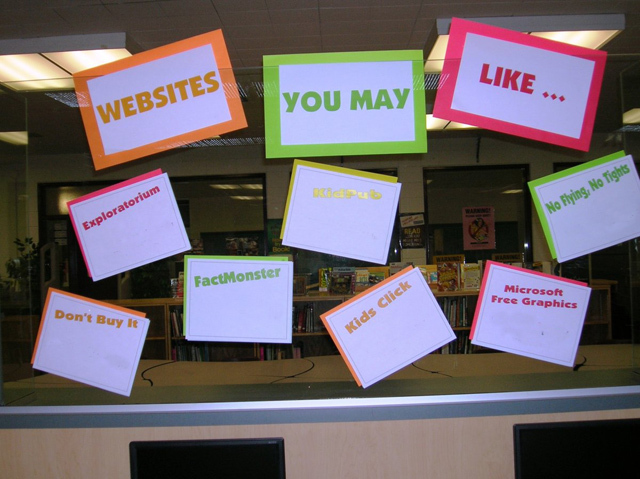 These videos can allow you learn more about the interests of the person you’re researching. Businesses are a bit trickier. If they haven’t linked their YouTube accounts to Google+, their latest videos (if they have any) won’t appear. You’ll have to search separately for them on YouTube. Data.com is an online directory of business professionals and their companies fed by data from Salesforce.com. It is mainly used for b2b (business-to-business) transactions, and is maintained by a large subscriber community. It allows you to look up and exchange business information with millions of professionals. It is the same information you would find on their business card. You can search for and verify their newest information such as job titles, current employer and an email address. You can also search for businesses and gather a list of their current employees. Because this is user-updated information, you will want to verify the information by calling a company switchboard and trying to reach someone who can verify it, or even just to try to see if you can reach that person. Also, everyone has a concern about privacy. It is better to address privacy concerns before adding someone’s contact information. We recommend that you DO NOT add anyone’s contact information without their consent. It’s best to make the nominal investment or only add people for whom you can consent to get credits you can use in exchange for others’ information. Like Data.com, Zoominfo.com is a directory containing millions of professionals. Zoominfo is different from Data.com because it uses publicly available information aggregated from web articles mentioning the person or business and other sources. It is easy to verify a person based on their work history. The database also allows you to search and discover profiles for businesses. These profiles include contact information, a company overview, number of employees, their competitors and revenue. Unlike searching on Google, this information is updated once every 90 days or sooner. You also don’t have to wade through pages to identify your contact or a business. It is all readily available in one easy-to-navigate spot. 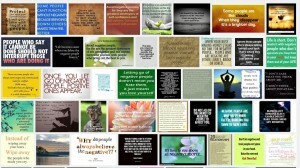 Slideshare is a service that allows users to read and share professional presentations online. It boasts over 60 million global users and is the largest community for sharing professional content. Slideshare allows you to search for and follow individuals, regardless of if they’ve uploaded content. Their profiles can include their current location, employer, education, a professional description, their social media accounts, their websites, and other people they follow. Slideshare is a good resource for verifying a person’s identity, but it only works if he or she has taken the time to fill out a profile. Even if a person’s profile doesn’t include a detailed profile, there is another potential way to gather this information. The presentations they share might contain information missing from their profile. You can also find businesses and the slides they’ve shared. These slides can contain high-ranking members of a company, such as the vice president of a division. Furthermore, these slides contain presentations that cover industry trends and their approaches to solving problems. When it comes to researching people and employers online, The Business Journals are a veritable gold mine. I sang the praises of the Philadelphia Business Journal in my article “There’s GOLD in These Pages”, and for good reason. It is a fantastic source for leads that correlate to your income potential, it allows you to target organizations through the Book of Lists, read about the growth of local companies and even find people on the move. The local business directory is great for obtaining quick information on local employers. The search feature even allows users to find people and business throughout the journal. Some of The Business Journals’ best features are behind a pay wall, but if you’re serious about locating research and information, a subscription provides access to valuable tools. Vimeo is a video-sharing service that predates YouTube. The platform has over 14 million members and the bulk of users are creative professionals. In other words, Vimeo is a great way to find career coaches, mentors and subject matter experts in addition to music, animation and film artists. The community is small compared to YouTube, but it is passionate. Vimeo can be used to find a professional and discover their creative works, in order to learn more about them. You can also search for businesses on Vimeo. The results aren’t as comprehensive as YouTube, but some businesses provide fascinating glimpses into their operations. For instance, Amazon Recruiting has a video highlighting their relocation packages for new employees. A similar search of Amazon’s brand on YouTube yields mostly uploads of commercials and ads for consumer products. If you can find a business on Vimeo, the uploaded videos could provide a new perspective on the company. Pinterest is a media-sharing website with a heavy focus on sharing pictures. But, many users also use it to share content from websites. Like other social outlets, it allows users to follow one another. You can search for a person on the service and view what they have been sharing. This provides a glimpse at the industries they follow and their hobbies. More importantly, Pinterest allows you to get a glimpse of what information is relevant to a person and the subjects they like to see and share. If a person has fully customized their account, check out their boards. Depending how they use their pins and boards, you may learn what their wildest dreams and deepest desires are. A person’s dreams and desires can help you engage a person and gain some insight into their thought processes. You can also search Pinterest to find news and facts about a business, but not very many of them have actual Pinterest accounts. However, if a business does have an account, they are surely using it to promote their employment brand. I can’t talk about searching for people on social media without mentioning Facebook. It is the largest social media platform in the world and has more than one billion active users each month. It is mainly thought of as a personal social media network, but it also functions as a directory. You can search for people or businesses by name, but like Google, if a person has a common name a search can yield dozens of results. To find the person you’re looking for you’ll generally need to know what city they live in, and/or their place of employment. Try searching for a name on Google. Sometimes their Facebook page will appear in the results. This can greatly aide your search if you’re having a difficult time finding someone. Facebook is a great way to get a general feel for a person and their interests, depending on what they share publicly. You’ll find some accounts are heavily restricted to friends and family, while other accounts are public. 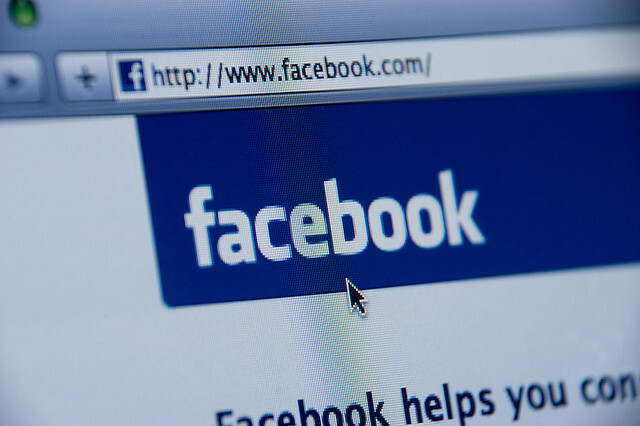 Lots of businesses big and small have Facebook pages that provide general information about a company or brand. The information you find on Facebook is fairly generic, but it can be used to be more engaging when you do approach someone. I’ve gone into depth about the ten websites and a few secret websites you can use to take your job search further. However, you can be proactive about your job search instead of reactive. Our Webinar, Insider Edge to Social Media: 3 Success Secrets to Getting Hired, demonstrates NOT just how you can be found by employers of choice, but HOW you can use social media in many of the same ways to be PROACTIVE about your job search. A proactive job search allows you to land at a company you already know will be a great employer and can offer you the environment and culture you need to thrive, and the opportunity to expand your professional horizons. The searching methods contained in Insider Edge are integral to executing a proactive job search. That said, even if you are being reactive, because your networking and social media activities have generated great leads, you can use the sites I mentioned to optimize every meeting and interview. Sometimes, we have to “cut the fat.” Success teachers of every kind will advise you to eliminate negative people from your life, though they recognize that it’s not so easy to do. Even Deepak Chopra can only offer strategies to deal with certain types of negative people and promotes avoidance of other types whenever possible. Because social media has transformed our social lives into data that can be tracked, avoidance can get pretty tricky. The answer: They aren’t notified, but there are many ways to find out. I described how they will see you comment on a mutual friend’s or family’s post and they might go to post on your profile or send you a private message and notice that there is an option to friend, as though you aren’t already friends. Is this an added layer of social rejection? 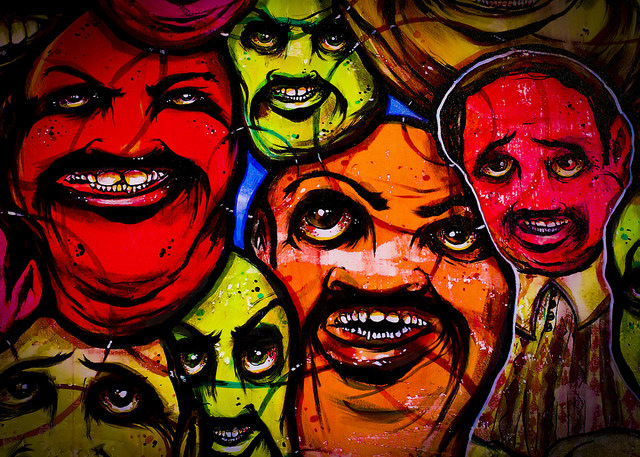 Is it better to remain blissfully ignorant about what people say about us behind our backs? There were three or four workshop attendees who were hesitant to expose themselves to potential ridicule and undue drama. When you see an emotionally charged exchange like this, it’s hard to blame them. I made the argument that fear is a powerful and justifiable emotion, but we have to carefully evaluate how much we let it make decisions for us. Because, really, what’s worse? Limiting our success and stifling our growth, or not being liked and accepted?